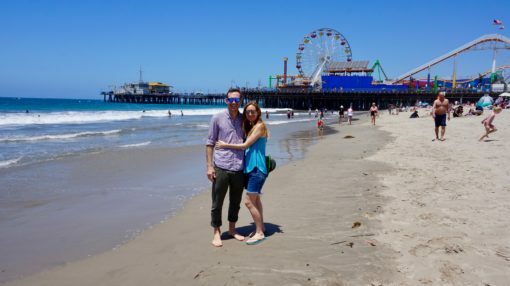 I don’t know whether it was the sense of freedom a car brings, having my friend Jo with us for the ride, the endless sunny days, exotic scenery, theme parks or delicious vegan food, but California made my heart ache with happiness every single day. 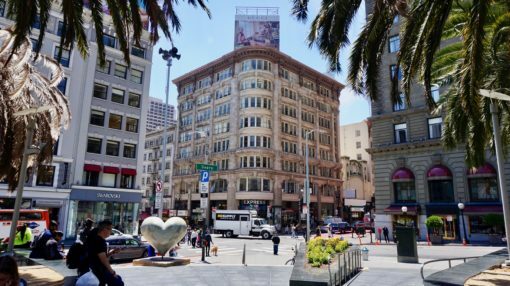 A quote from my journal reads: ‘You know you love a place when you’re right there but are already plotting how you can return.’ Here’s a look back at the entire adventure, including our California road trip itinerary. California is the third-largest state in the USA, in fact, the UK would fit inside it nearly twice over. 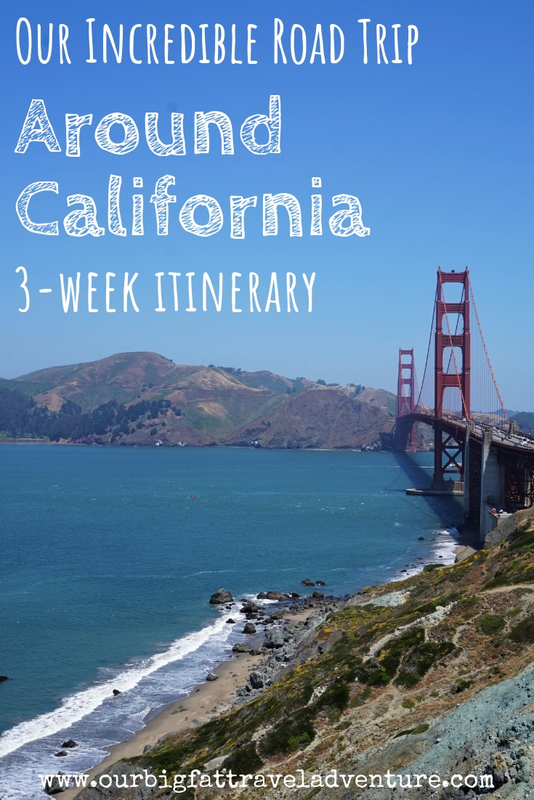 I could spend months exploring the Golden State’s treasures, but we had just two and a half weeks to spare, so how did we plan our California itinerary? Here’s a breakdown of our June visit. 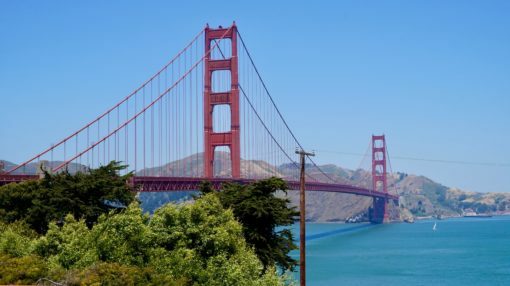 When planning our trip around California, we tried to include the highlights like San Francisco and Yosemite and see as much of the various landscapes as possible, from cities to beaches, small towns and forests. 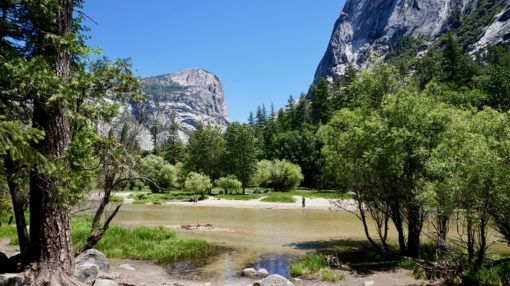 I think we got a good overview but I would have loved to add extra days in Yosemite and the Santa Ynez Valley area, as well as visit the far north. 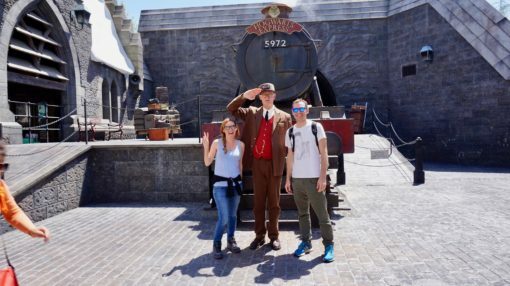 We always find the cheapest accommodation in the USA through Airbnb, which we used exclusively on this trip and past visits to Florida and New England. 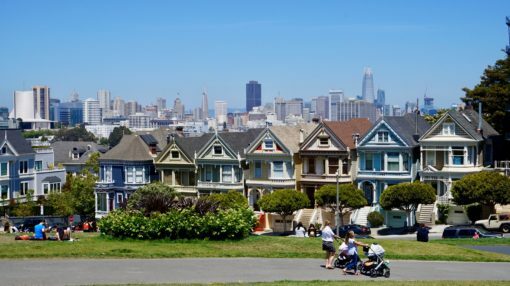 In California, we paid £686 in total for accommodation for two people. We stayed in spare rooms in people’s homes, with the exception of an RV in North Fork, which we split the cost for between three people. Our most expensive stay was £57 per night in Santa Barbara and the least expensive was £29 per night in LA. If you’re not signed up to Airbnb, you can get £25 off your first stay with our discount code. We hired a car for the majority of our time in California, minus the days we spent in LA, through SixT, which cost £338. We drove 2,027 miles on our trip, which is not much less than our 2017 road trip from the UK through the Netherlands, Belgium, France and Spain to the South of Portugal. Told you California was huge! In total, we spent £280 on fuel, tolls and parking, which was split between three people. 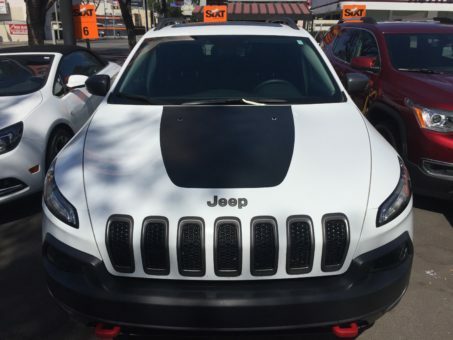 It’s worth noting that we initially hired a smaller car but were upgraded to a Jeep Cherokee. Andrew loved driving that juggernaut, but it turned out to be a real gas guzzler. LA turned out to be a lot more rough and ready than I expected. Sadly, there seems to be an epidemic of homelessness as well as the usual big-city issues with drugs. I don’t know whether we were just unlucky, but every time we caught the metro we witnessed some kind of fight or altercation with police. 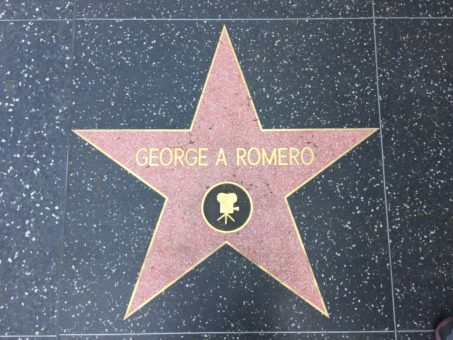 I’d always pictured Hollywood Boulevard to be this glitzy, glamorous place but actually it felt kind of rundown and dodgy. Nevertheless, we got our tourist on and followed the Walk of Fame, photographing handprints outside the TCL Chinese Theatre. 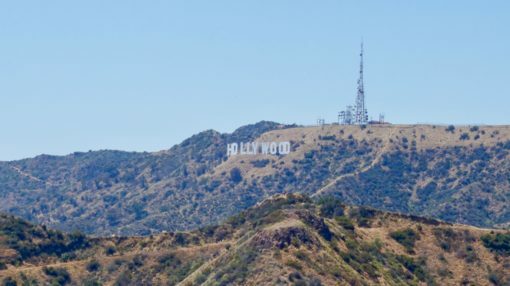 We also took the metro and free bus to Griffith Park and its iconic observatory, where we caught a glimpse of the Hollywood sign perched on the hillside, surrounded by mountains. 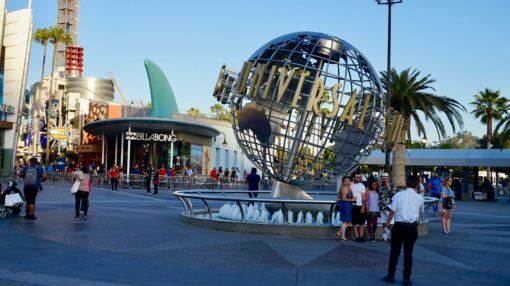 My LA highlight was, without a doubt, spending the day at Universal Studios Hollywood. 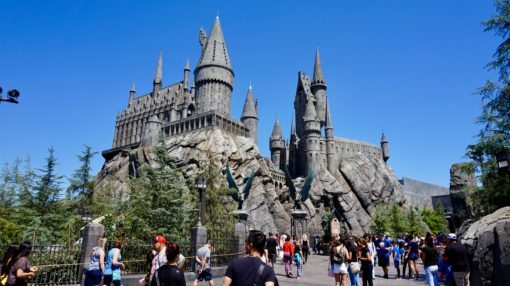 We got there super early and headed straight for the Wizarding World of Harry Potter, which has a recreation of Hogsmeade village complete with Ollivander’s wand shop, Hogwarts Castle and two Harry Potter themed rides. 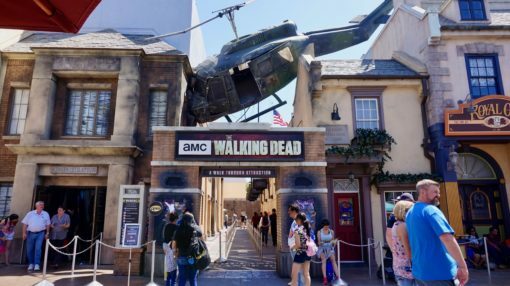 I scared myself silly at the Walking Dead Attraction (one of my favourite TV programmes) and rode the Mummy Rollercoaster and Jurassic Park water ride several times. 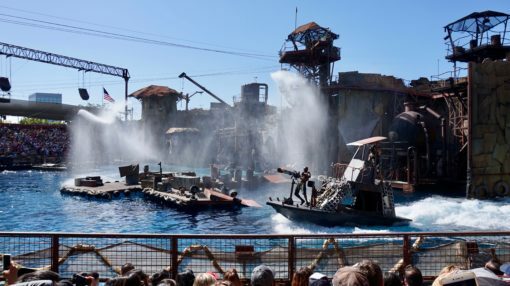 We also made time to watch the special effects and Waterworld shows and took the studio lot tour twice. It was fascinating to see props and sets from films like Back to the Future, War of the Worlds and Psycho. 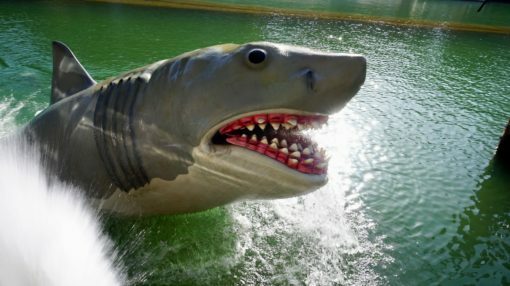 I was beyond thrilled when Jaws, one of my all-time favourite horror icons, launched out of the water to give us a scare. 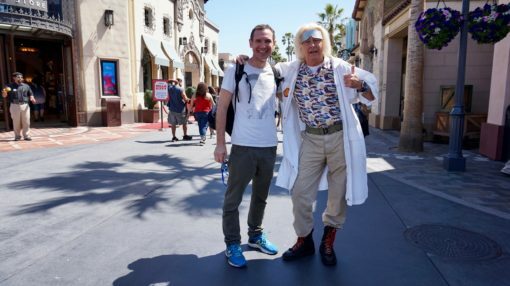 Universal Studios was truly a day of movie magic and reawakened my love of theme parks, I’m already itching to go back, perhaps to the Florida park next time. After picking up our rental car, we bid farewell to LA and headed up the coast to Santa Barbara. We made a stop at Santa Monica on the way, which was much more like the LA I had imagined. We sunk our feet into the soft sand and strolled along the wooden pier filled with colourful fairground rides. I felt like I was in a movie driving up the windy Pacific Coast Highway in the afternoon sunshine, alongside grand houses and flashes of blue sea, with country songs on the radio. 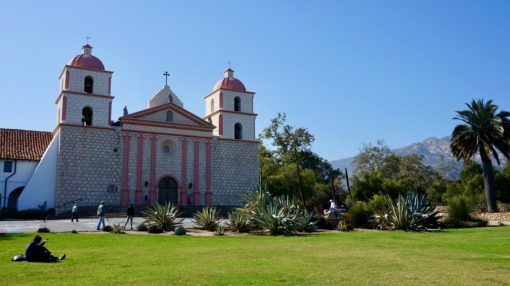 We headed inland through rocky, canyon-like scenery and eventually arrived in Santa Barbara just as the sun was setting. 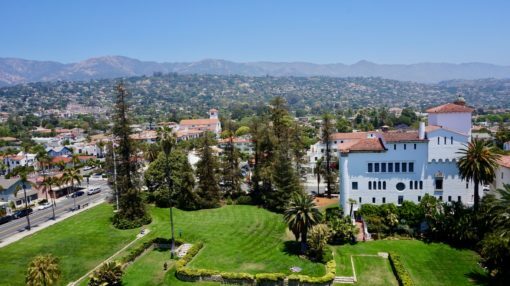 I’ve long since dreamed of visiting Santa Barbara, an idyllic coastal gem, and I wasn’t disappointed. 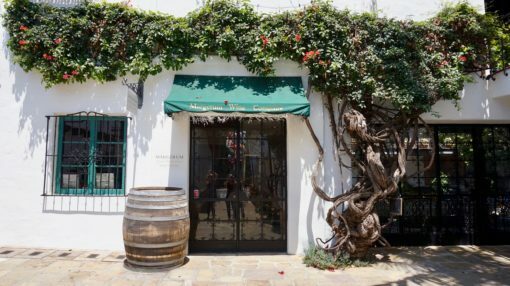 The city is surrounded by vineyards and fringed on one side by the towering Santa Ynez Mountains and by sea on the other. 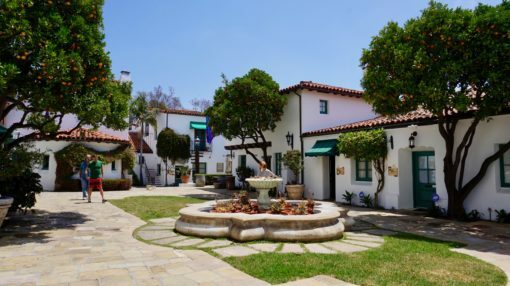 Main Street features a long strip of white-washed, Mediterranean-style buildings, speaking to the city’s Spanish colonial roots. 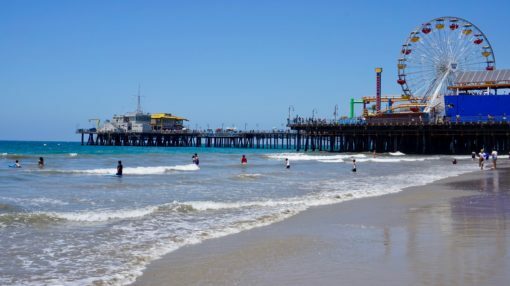 Down at Stearn’s Wharf, I could taste the salty air in the back of my throat and see the beach stretch off into the horizon, dotted with palm trees. 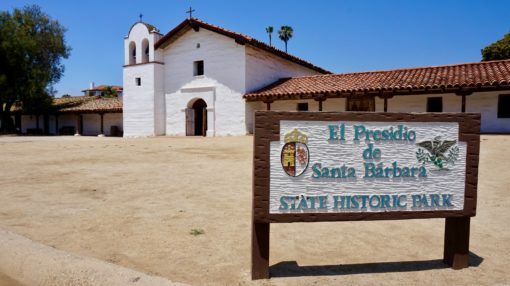 The next day we visited some of Santa Barbara’s highlights including the Old Mission, a Franciscan monastery, and the most unusual, mosaic-covered courthouse I’ve ever seen. We hopped around nearby beaches, stopping at Arroyo for lunch, walking along Shoreline Park and resting on Leadbetter in the late afternoon sun, mesmerised by bright kitesurfers. 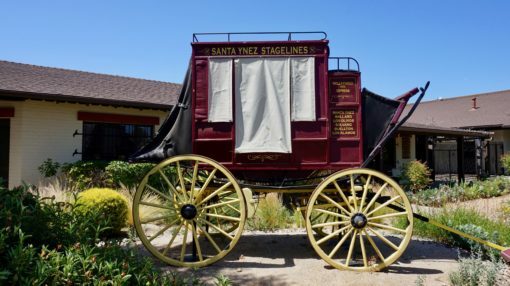 Santa Ynez Valley lies just north of Santa Barbara and is a diverse grape-growing region filled with over 200 wine tasting rooms. 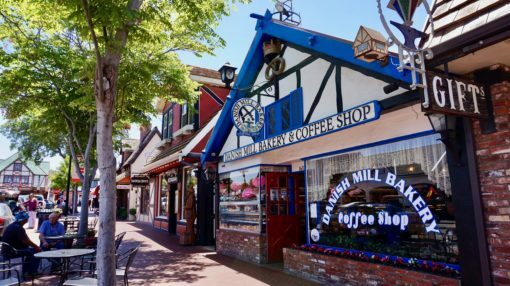 There are six quaint towns nestled in the valley and we swung by a couple on our way up to San Francisco. 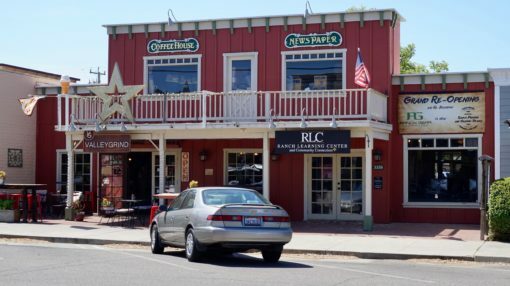 First up was Santa Ynez, a tiny, one-street cowboy town complete with wagon wheels and saloon-style shops. 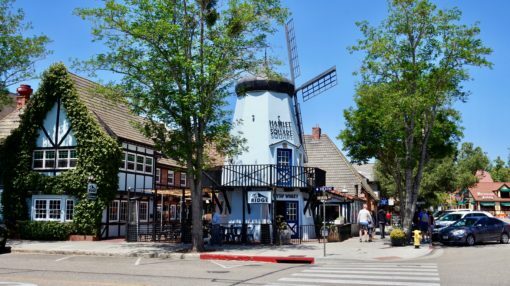 Then there was Solvang, a Danish-inspired delight filled with brick-and-wood trimmed buildings housing traditional Danish shops and bakeries. There were even a few windmills dotted around, making for a surreal yet beautiful stop on the journey. 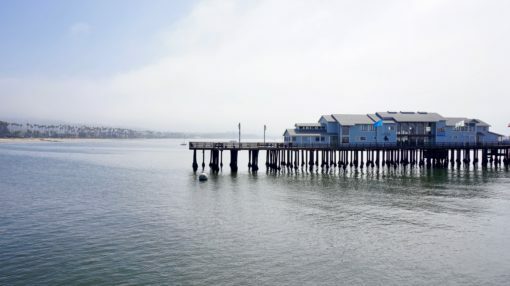 To cut down the journey time, we drove inland up to Oakland, which lies just outside of San Francisco and is a cheaper area to stay in when visiting the city. 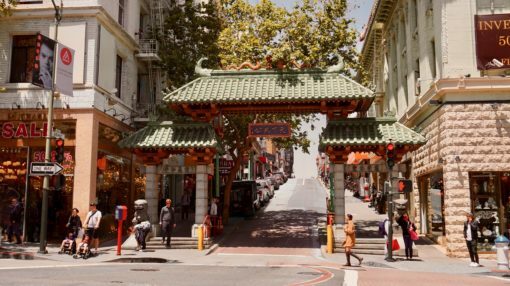 There’s a separate post about our five days in San Francisco coming up, but as expected, we fell totally in love with the city. What were our highlights? 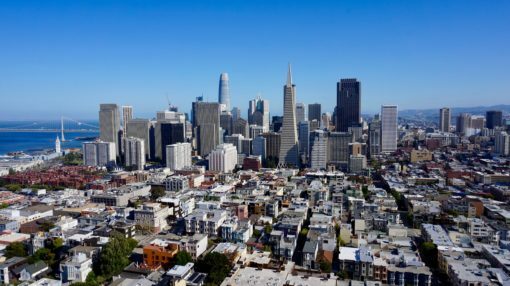 Wandering around the cinematic, calf-busting streets lined with brightly-coloured wooden houses, exploring Chinatown, watching a mass of sea lions bask in the sun at pier 39 and marvelling at the view over the city from the top of Coit Tower. Although we left it too late to book a tour of Alcatraz, we could see the infamous prison from Fisherman’s Wharf. 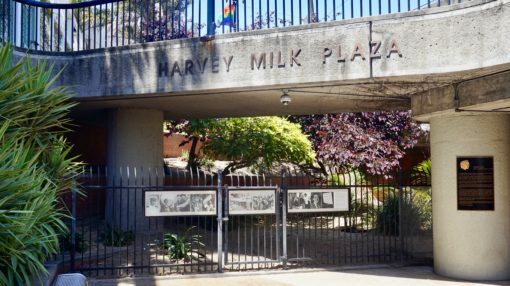 We also spent a day visiting the Castro District, home to the late revolutionary mayor of the city, Harvey Milk. It was moving to visit his memorial and the camera shop where he used to live before he was assassinated. Milk was such a fascinating, inspiring figure. 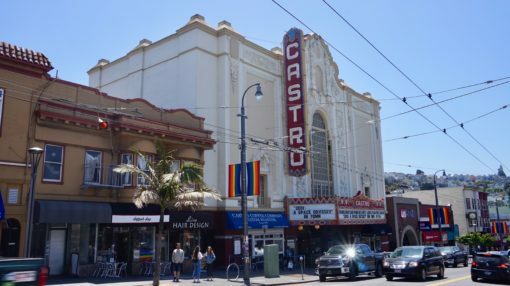 While wandering the streets, which are filled with rainbow pride flags, we stopped in at the LGBT museum to learn more about the Castro District and LGBT movement. It was incredible to see how far things have come since the days of police raids. 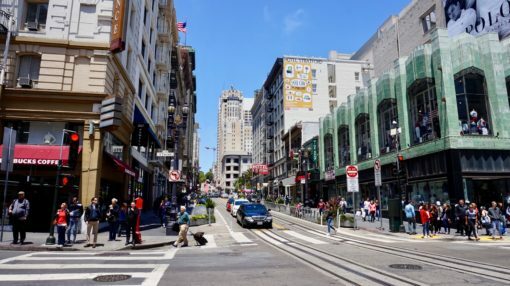 Heading on to the trendy nearby Haight-Ashbury area we discovered VeganBurg, one of our favourite vegan finds in California. 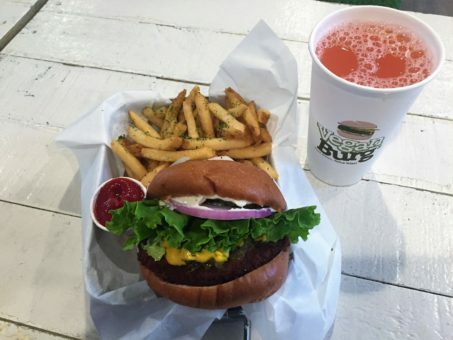 I wish the UK had such awesome, plant-based burger joints, we loved it so much we came back the next day for more! 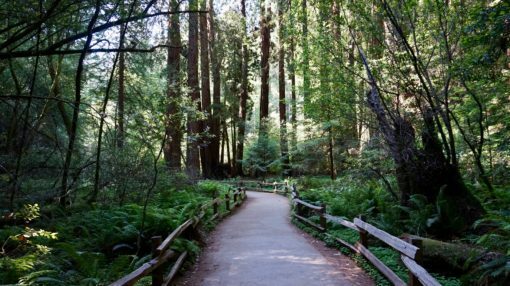 We headed out of San Francisco one morning to visit the stunning Muir Woods, where we walked among ancient redwood trees, some over 2,000 years old. On the way back, we stopped at the Golden Gate Bridge which is one of those landmarks that’s so famous that it just doesn’t look real when you see it in the flesh. 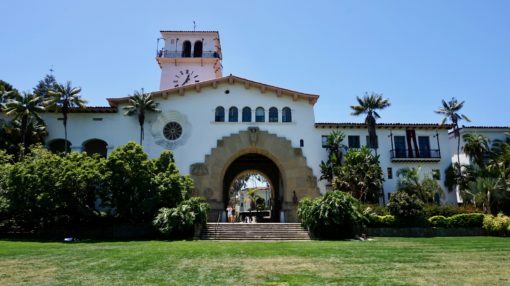 On our final day in Oakland, we took a free tour of Berkeley college, wandering among the leafy quads and learning about student life on campus. 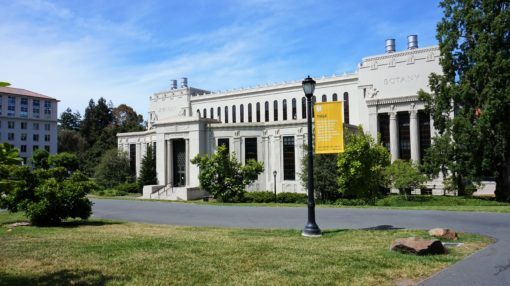 I have a bit of an obsession with US colleges and loved the tour, even if Berkeley didn’t live up to its Ivy League counterparts Yale and Harvard, which we explored on our New England trip in 2015. 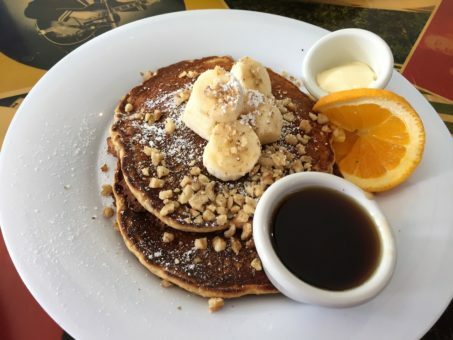 To top off the morning in Berkeley we went to Saturn Café for amazing banana walnut pancakes, did I mention that California is my favourite place for vegan food? Yosemite. It’s a cliché, but there really are no words to describe just how staggering this natural wonder really is. 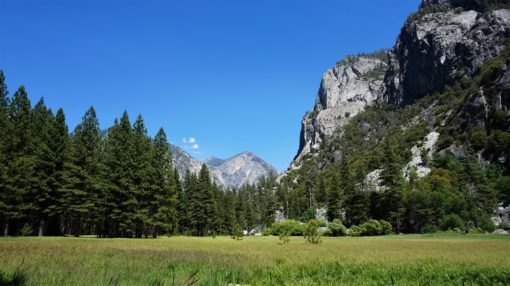 To get a sense of what I mean, picture the largest waterfall in North America, hulking granite domes, valleys carpeted with flowering meadows and lakes so clear they really could be mirrors. 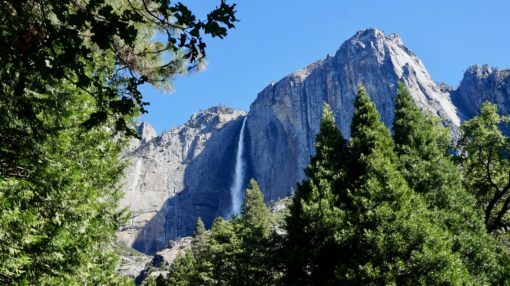 Yosemite’s beauty makes it one of the country’s most visited national parks and because of that, accommodation prices and crowds can be pretty fierce. 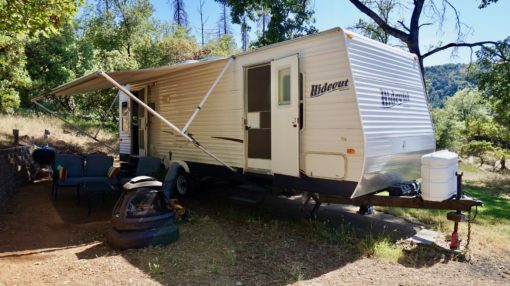 We opted to stay in a caravan about an hour’s drive from Yosemite in North Fork near Bass Lake, which turned out to be our favourite Airbnb of the trip. 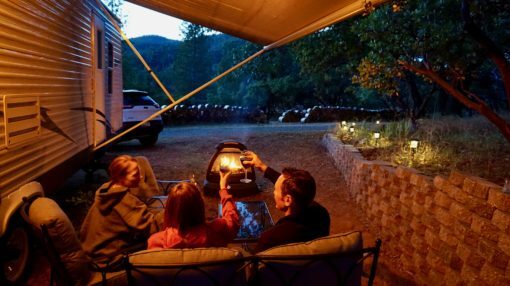 We enjoyed BBQs, campfires and spent evenings gazing up at the star-filled night sky. After an all-too-brief visit to Bass Lake the day we arrived, we rested up for a long day at Yosemite, leaving at 6am. 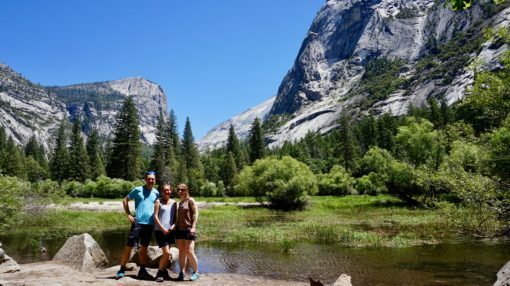 We made the most of our day, hiking to Yosemite Falls and then circling Mirror Lake which is surrounded by colossal granite domes. The walk took us through swampy areas, forests, moon-like deserts and vivid green meadows. Hopping back in the car we drove up to Glacier Point via the Tunnel View, which overlooks Yosemite Valley. 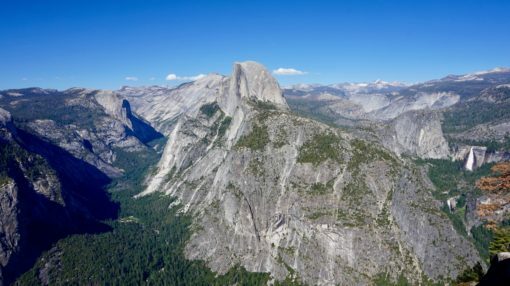 From Glacier, we got dizzying views over a third of the park, dominated by Half Dome. 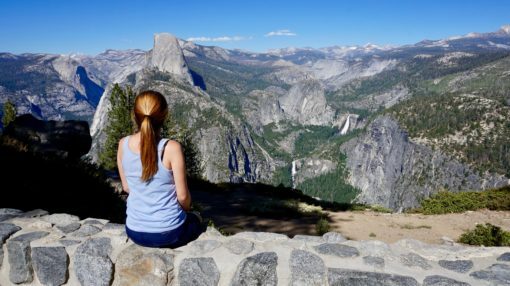 What I wouldn’t give to go back and explore Yosemite in more depth, put it right at the top of your ‘things to see in California’ list. 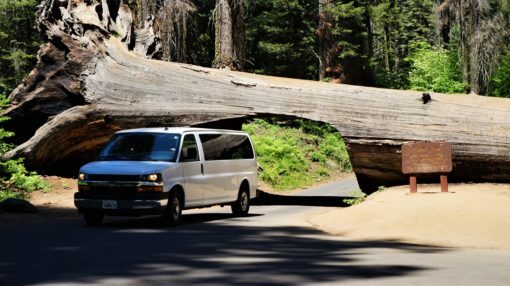 We were sad to leave our cute caravan as we headed east to visit two more of California’s national parks, Sequoia and King’s Canyon. We stayed in Lindsay to avoid steep hotel prices, which was an hour’s drive from the parks, meaning more long days. The scenery in Lindsay was much more like I imagine Texas to be, dusty and desert-like, with little wooden bungalows stained orange from the dust and rickety porches. We were surrounded by flat yellow fields and orchards, on every corner there seemed to be a fruit stall selling peaches, avocados, strawberries and oranges. 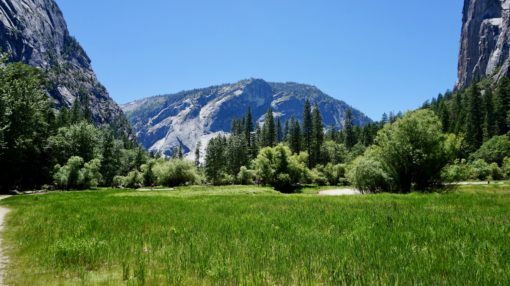 There’s so much to see in Sequoia National Park, which we found much more peaceful than Yosemite. We focused on its main attraction: the huge trees it’s named for, by walking the Giant Tree Trail. 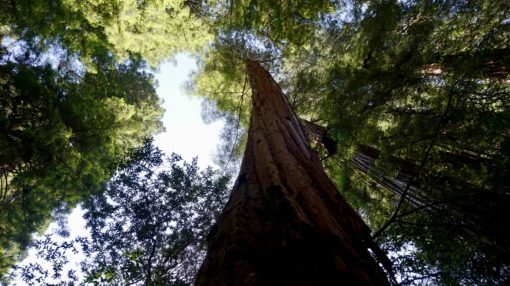 At the visitor centre, we learned about the life cycle of these epic trees, which can live for over 3,000 years and are the world’s largest living things. Sequoias only grow on the west coast of the USA and really have to be seen in person to be fully appreciated. Among the forests of giant trees, you’ll find meadows, river beaches and large rock formations. 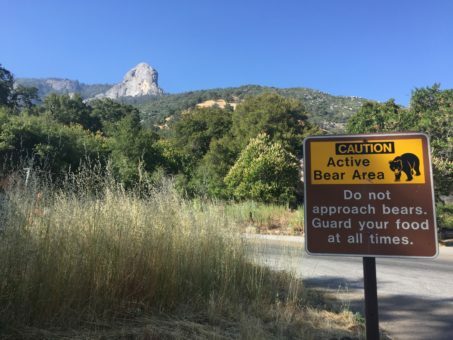 As with all the parks we visited in California, there were Black Bear warning signs everywhere and we caught glimpses of deer, chipmunks and all kinds of birds. 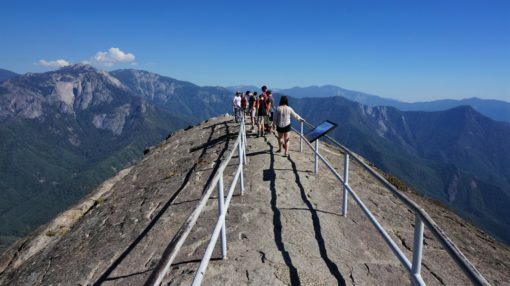 The highlight was visiting General Sherman, the largest tree by volume in the world, then heading up over 350 steps to the top of Moro Rock for panoramic views of the park. 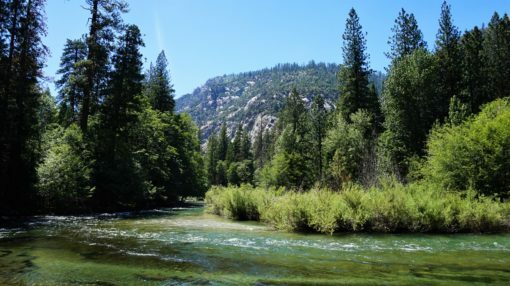 Our final day of National Park exploration took us to Kings Canyon, where we took part in a ranger led talk to see the second largest tree in the world, General Grant. 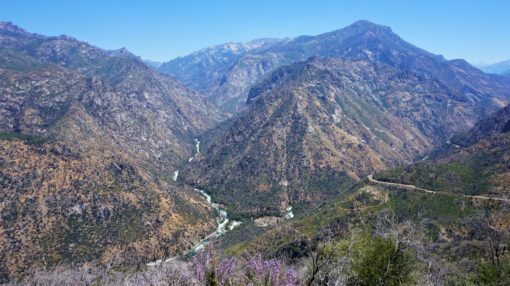 Then we drove along the Kings Canyon scenic byway, which heads down into the USA’s deepest canyon. Here we hiked to waterfalls, cooled our feet in glacial rivers and strolled around magical Zumwalt Meadow. 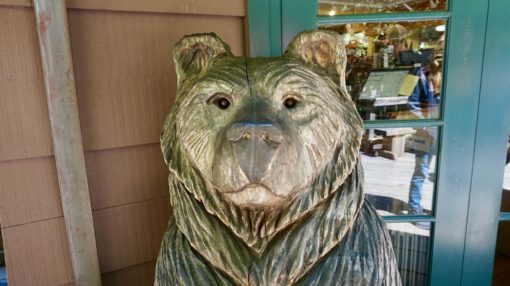 San Diego – drive time from Lindsay: should be four and a half hours, actually took us nine! On the evening before we left for San Diego, we received some bad news: our five-week Portland housesit had been cancelled. This really marred the end of our California road trip as we scrambled to make alternative arrangements. This was combined with a nightmarish drive down to San Diego along the I-5, which took over nine hours. If you’re planning a trip to California, for the sake of your sanity, I’d recommend avoiding this road at all costs, especially on Fridays. 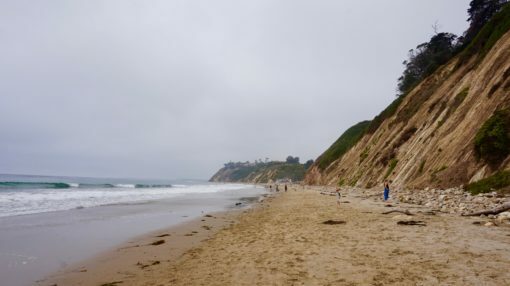 Regretfully, our single day in San Diego wasn’t an easy one as we were still dealing with onward travel arrangements and to top it off, we experienced the first bad weather of our trip. 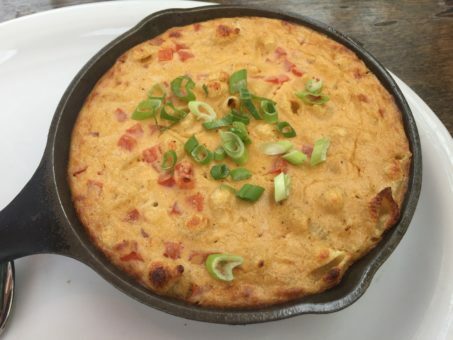 Even so, we tried to make the most of things by wandering around the city and having a delicious vegan lunch of mac and cheese at Donna Jean. 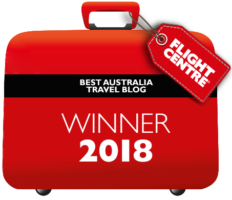 Congratulations if you managed to get to the end of this mammoth blog post! I think the length shows just how much I loved our road trip around California, my only regret is that it didn’t last longer. 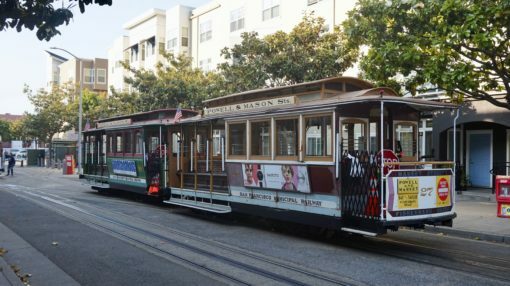 In future posts, I’ll delve deeper into our time in San Francisco and the national parks, as well as share how much the whole trip cost us. Have you been to California? What are your favourite sights and what did we miss? Excellent! So glad it all worked out so well. You’ve only just scratched the surface so you’ll have to plan a return visit with at least a month to spend wandering from border to border! Yep, it was incredible. Thanks for all the recommendations you made when we were planning our itinerary, we should have listened more to your warnings about the traffic around LA though, couldn’t believe how crazy that was! We really would love to go back and see more of California, you guys were so fortunate to live there for a long time, what a beautiful place to call home! Well, that was interesting! 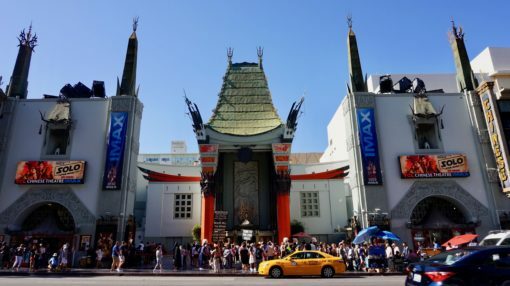 It sounds like LA hasn’t changed in 30 years, it was shabby when I was there last (OMG I think I’m getting a bit old!). 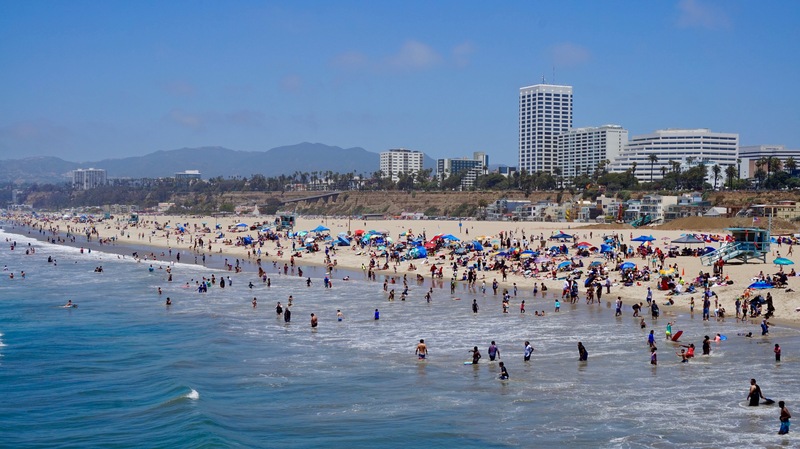 I think I’ll go to Santa Monica instead whenever I visit next. And I’ll pinch your itinerary, those parks look gorgeous! Thanks for posting this, it’s given me a whole new view of California. There’s so much to see in the US and Canada it’s hard to decide where to visit and for how long. If you have the time (and haven’t visited already) I suggest combining the Tetons and Yellowstone as one trip and the Utah/Arizona parks as another longer one. We camped across Canada and the US for over 30 years and have traveled all around the world and these 2 areas are still among our favorites. 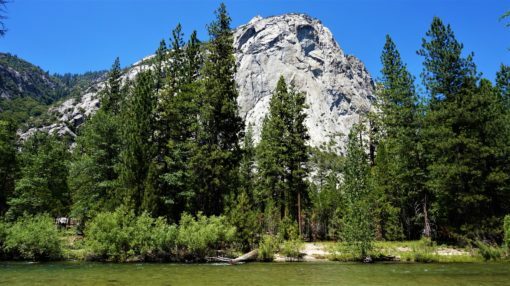 We spent lots of time at the parks you just visited and although Yosemite is very special, we always favored Sequoia for its majesty and peacefulness. Wow such an amazing road trip. 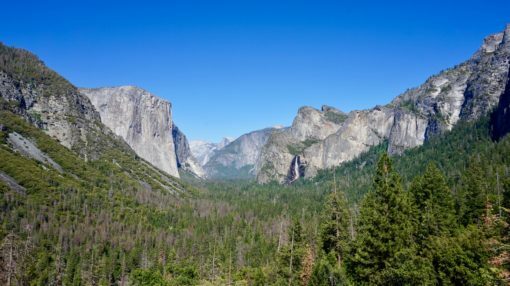 Yosemite is certainly a must see and I hope to visit it one day, when is the best time of the year to visit it? I would love to travel around the USA in a motorhome..just to see some of the National Parks would be incredible. It is such a massive country, I can imagine you two will be returning there soon enough? 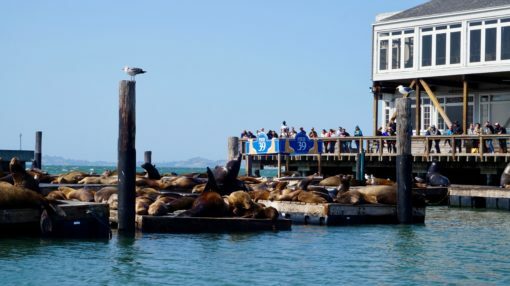 I will be looking forward to your next post about San Francisco..a city that has been on my wish list for eons? 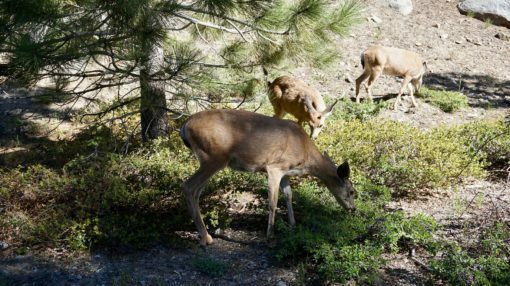 Hi Gilda, I think summer is a pretty good time for Yosemite, spring perhaps too. You guys would love it I’m sure! We absolutely love travelling in the US and hope to return soon. San Francisco was one of the best US cities I’ve visited yet, so beautiful! I’d love to go to Yosemite & Sequoia someday. One of my favorite parks is Zion National Park in southwest Utah, so keep it in mind if you’re ever out that way. Hi Donna, Zion sounds amazing, we keep hearing great things about Utah, it’s definitely on our list of states to visit! looks like you had an amazing time! certainly one place I really hope I have the pleasure of visiting one day. 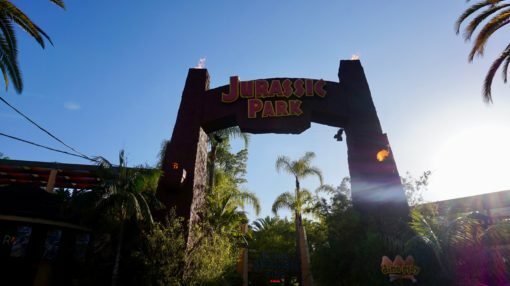 An incredible mix of nature, history and well… universal studios. Three things I love! 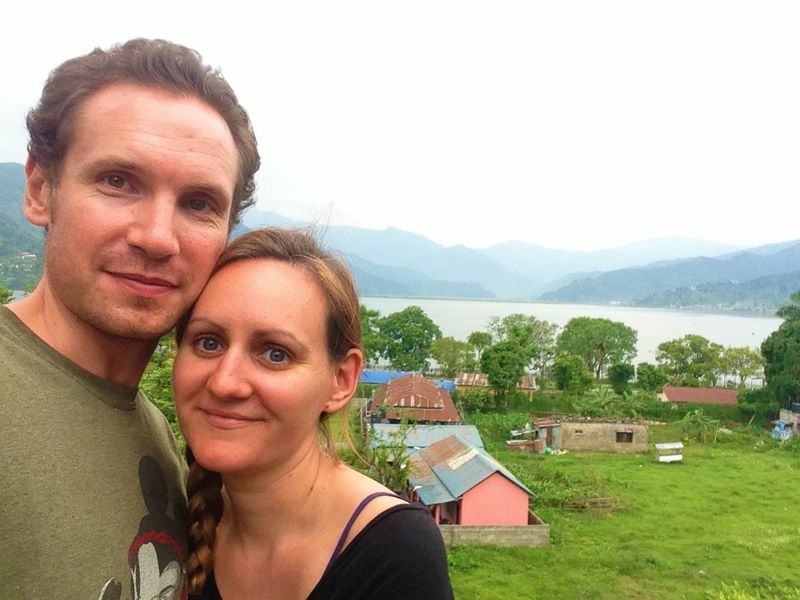 We did have an amazing time – I’ve been longing to go back ever since!